For the past decade, I have been offering an adult education program at my school. This year’s theme is comparative institutional analysis, in which attendants compare mechanisms of specific sectors in Japan and foreign countries. The theme was set to let attendants realize that some mechanisms regarded by Japanese people as the norm are actually something unique and unparalleled in other countries. The other day, one of the attendants gave a presentation on the comparison of agricultural protection policies in Japan and the United States. A former worker at a multinational enterprise, he moved to a mountainous area in Hyogo Prefecture to engage in farming since last year. After listening to his presentation, I made the following comments. In the presentation, he pointed out that Japanese media reports repeatedly criticize Japan’s agriculture for being slow to adjust to global capitalism and failing to improve its efficiency, depending excessively on the government’s financial assistance. Looking only at such reports gives us the impression that Western countries have constantly been successful in their agricultural policies and Japan is the only one that has failed. However, as a matter of fact, all the countries around the world are struggling with the same difficult challenge of coming up with effective policies to realize sustainable agriculture. Western countries have changed their agricultural policies every decade like a weathercock along with the historical transitions. The primary purpose of agriculture, in short, is to maintain food security through self-sufficiency and stable supply of farm products. Any policy can be adopted as long as this goal can be realized. I believe it is perfectly fine for the government to take such a pragmatic stance. All the economic activities worldwide are linked together in a global economy. Agricultural policies which worked last year could become useless this year, depending on countless factors including changes in world market prices and consumer preferences as well as technological innovation. There is no generalized answer to agricultural policies. We can only continue choosing the better answer for Japan in accordance with the conditions of the times. Some advocates of “a strong agricultural sector” urge Japan to follow the U.S. style of large-scale and mechanized corporate farming. They suggest it as the only absolutely correct answer, but unfortunately, there is no such thing. Rather, I am concerned about the fact that they overlook the peculiarity of U.S. agriculture. U.S. agriculture built its powerful foundation by exploiting slaves in commercial farming for 200 years. Immediately after the nation abolished slavery and lost “the labor force which costs next to nothing,” it discovered in Texas an immense deposits of oil – “an energy source which costs next to nothing.” Slavery and petroleum – these are the historical advantages of U.S. agriculture. There are people who claim that Japan’s agricultural sector will become strong only if it imitates the U.S.’ efficient management. But I have never yet heard proponents of U.S.-style farming mention the nation’s unique history. 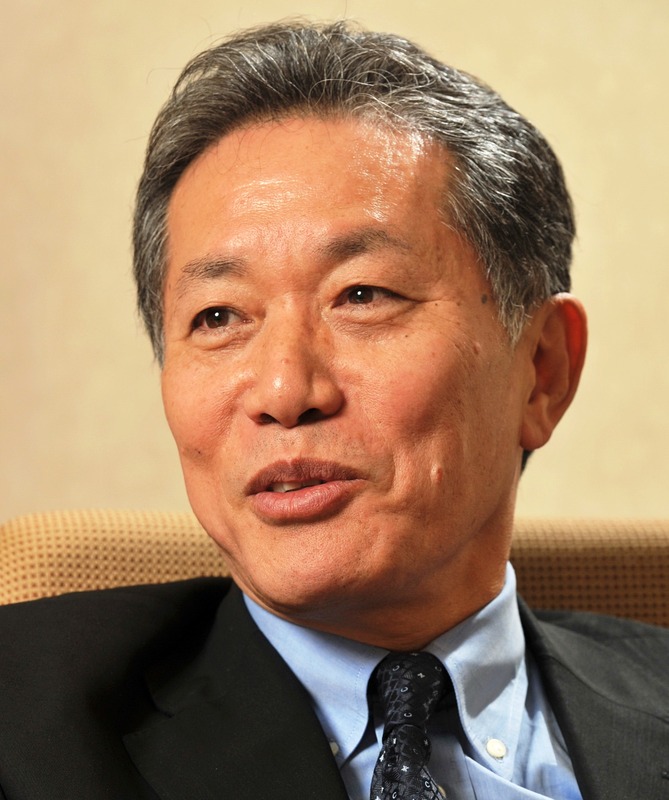 <Profile> Born in Tokyo in 1950, Tatsuru Uchida currently serves as professor emeritus of Kobe College and president of Gaifukan, a school for Aikido and philosophy in Kobe. He specializes in modern French philosophy and has won several awards for his essays and books, including ones on Jewish culture and Japanese cultural identity. He has also written books on Japan’s postwar history, society and politics. This entry was posted in Food & Agriculture and tagged Opinion. Bookmark the permalink.